Where Quaker Meeting House, 7 Moncrieff St. in Mt. Victoria, Wellington (map). Zen Thursdays are our regular weekly practice session. They include two seated meditation periods (zazen), walking meditation (kinhin), chanting, a talk/discussion on Zen with a cup of tea. Wear loose comfortable clothing for sitting on the floor. Cushions and mats, as well as chairs for those who need them are provided. 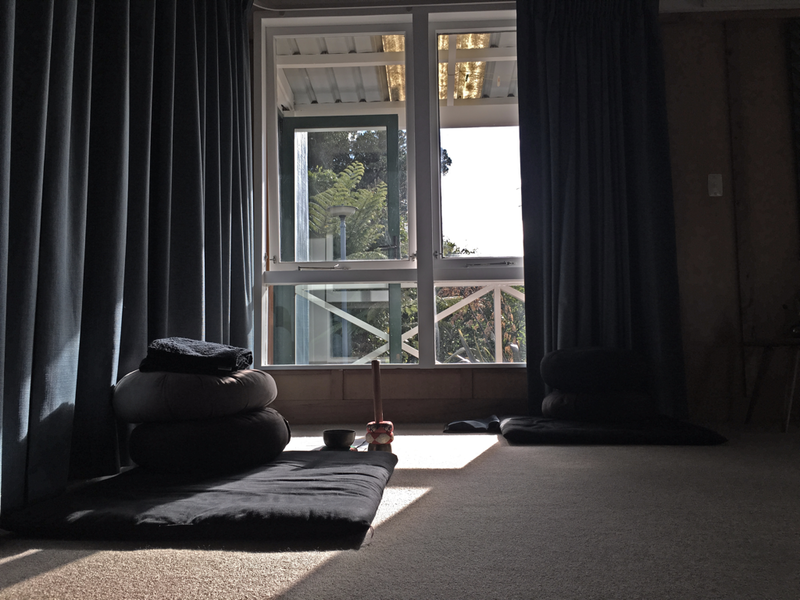 Once a month on a Sunday morning we meet for four rounds of zazen (meditation), kinhin (walking meditation), a chanting service and group discussion, followed by a light lunch provided by the sangha. Dates are listed in the events section on the right side. 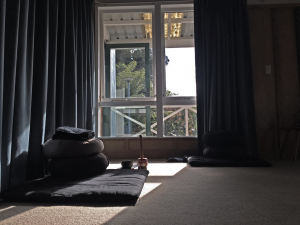 Beginners are warmly welcomed, and this is a great opportunity to not only settle into your meditation practice, but also to enjoy some food and conversation with our group (sangha) afterwards. Please email us if you plan to attend. Cost $70/day or $60/day members or unwaged. Sesshin means literally to “gather the mind”. This silent meditation retreat is the heart of Zen practice, and is the method that has been practiced by all the Zen and Buddhist masters throughout the ages. 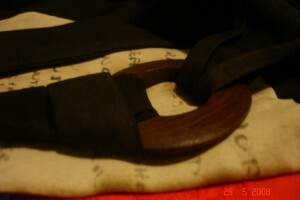 The practice of sesshin brings about insight and a deep knowing of the true nature of mind and your place in the world. Sitting together, and practicing coming back to the present moment again and again over a period of several days, you will begin to see the sometimes subtle ways you have bound and limited yourself. This brings about the resolve to see into your own heart of wisdom and to turn that wisdom into compassionate action for yourself and others. Sesshin is the doorway by which you can enter into life fully and completely. 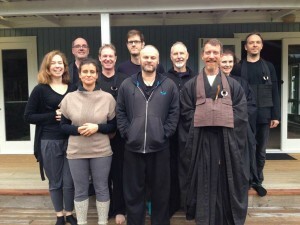 The retreats start with an introduction and opening ceremony on the first evening followed by zazen. We commit to practicing together with integrity and harmony during our time together, and enter into silence while in the practice centre. During sesshin we focus on zazen, and intersperse our sitting practice with walking, chanting, eating, resting, dharma talks, and work practice. Every aspect of the retreat is designed to provide an opportunity to experience the unfolding of our life, just as it is. Sesshin is a powerful experience, and the opportunity to practice together with a group of like-minded people, in a caring community, is a rare jewel. Contact us to register or for more information. Come and join us on Thursdays for 7:30pm start. If this is your first experience of Zen practice, please join us on the 1st Thursday of the month @ 6:30pm for our introductory session (RSVP required). 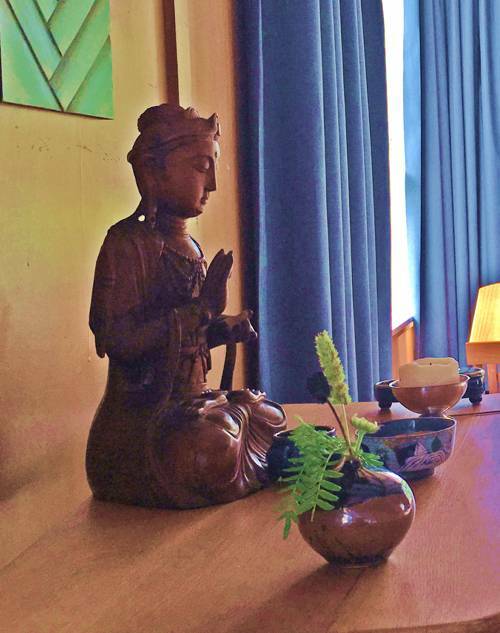 Please note that the Zendo is closed on the 18th and the 25th of April. On the last Thursday of each month we finish our Thursday sit early to catch up with each other over tea and cookies or head over to Hopgarden for a beverage or tea. Copyright © 2019 Green Mountain Zen. All Rights Reserved. Designed by bavotasan.com.